I guess that’s pretty obvious, but still: your blog name and your domain name should be identical (apart from TLD of course). I mean if you’ve named your blog “Red Cats And Giant Kangaroos” your domain name should be “redcatsandgiantkangaroos.com” and nothing else. The name of your blog should be short! People hate remembering long names just as much as they hate typing long domain names in their browser. Look at this list of 500 most popular websites by SEOmoz – all the domains are very short. I don’t think this is a coincidence. Would you argue with me if I say that some names stick in your brain easily and for long, while others vanish the same second you hear them. Let’s see if there’s some science behind naming. Back in the days using the exact keywords in your domain name helped a lot in getting to Google’s frontpage. But since the Google EMD update was rolled out I no longer see any SEO value in this method. 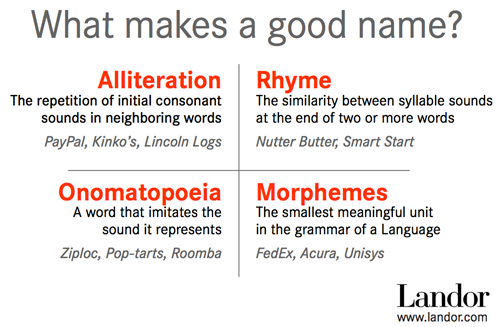 Most startups today tend to invent some catchy abstract names: Twitter, Flickr, Pinterest, Instagram, etc. Once a new product or service is being released it should aim for Innovators and Early Adopters instead of pitching itself to general public. 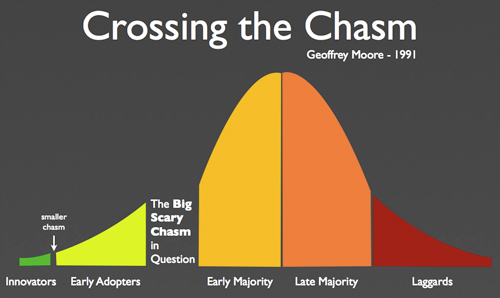 And if these two categories of people will like your product everybody else will eventually catch up. Where’s naming here? Well, I think some abstract new thing called “Twitter” not only sounds fresh, but contains a small puzzle in it. Once people will hear “Ashton Kutcher is using Twitter” – they won’t be able to resist checking out what “Twitter” is. Compare this to “Ashton Kutcher is using QuickMessage” – who cares, right? But again, this works for startups that are offering something never seen before. If your goal is to name a blog I don’t really recommend this method. 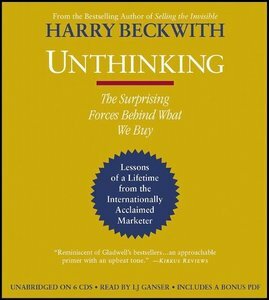 This one might give you just a hint of what the website is all about as opposed to containing exact keywords. I particularly love this one as it allows you to create a catchy name with a riddle in it, which will make people guess the meaning. Our brains hate loose ends, we aways demand a closure. Coldplay – how can “play” be “cold”? 50Cent – shouldn’t it be 50 cents? It all sticks because it’s unusual. Our brains love surprises. Actually any good joke depends entirely on a surprise – if the ending is expected it’s not funny. Our brains love rhymes. That’s because rhymes work like riddles. Once we hear the first part we’re wondering “what would be the closure“? For my own blog (this one) I knew I wanted something descriptive but not-too-obvious to make people wondering what exactly is the meaning of my blog. I knew I was going to write about the power of blogging and share the tactics that I used to grow different blogs throughout my career. So I decided that the word “blog” or “blogger” should definitely be present. And for the other part I just browsed Thesaurus. This is how BloggerJet.com was born. 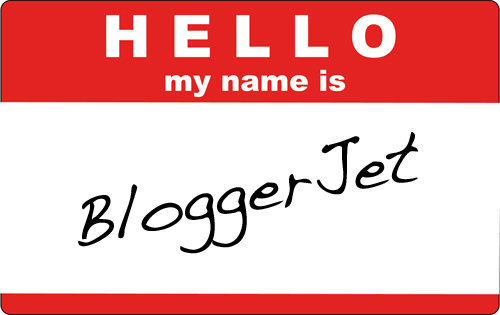 what do you imagine when you hear the name BloggerJet? I really like this name, I think it follows most of the naming rules and I like to think that it’s catchy and easy to remember. Why did I register BloogerJET with .com TLD? I honestly don’t know why everyone is so obsessed with .com TLDs. I think some SEO guy said that .com domains rank better in search engines. But again, if you look at Problogger.NET – I don’t think they have any problems with ranking. So just stick with what appeals to you, whether it is .com, .net or even .biz. TIP: I’ve also heard on some SEO forums that if your domain is registered for a longer period than one year – that’s also a positive sign for Google and you might rank a little bit better. Back in my schooldays, I was working in Tech Support of a hosting company. Nevertheless, when I look at the sales pages offering different hosting packages, all the features they list look like jibber jabber to me. Luckily, WordPress blog seems to run smoothly on literally any hosting account that’s being offered these days. If you’re looking for a decent hosting company and can’t make a decision – save yourself a few hours of researching time and just go with Bluehost WordPress Hosting. They have a very modest price and with their auto-installer you can setup a WordPress blog in just a few minutes. I really hope I made things perfectly clear with naming and launching your blog. Yet you shouldn’t get too comfortable with this first step in your blogging career. In my personal opinion, the name of your blog will play quite a big role in your future success, so give yourself a little bit of time to weed through some ideas before you settle with something. And, most importantly, you should really love the name of your future blog! And feel free to express your own opinion/experience in the comments section below. Great post here. Thank you for this information. Yeah, well done. Great tutorial for the basic steps. Really nice post. I have to keep a blog name then I will look for blog domain area of interest and go for general names So that it can cover vast field rather than brand or project name . I believe blog name should be easy, brandable and something which is good for SEO too. Hey Tim, another great post, mate! This is such a comprehensive post. I commend you for putting us this guide for us newbies. Well I read this informative post a few days late. I will be blogging about my travels, and I picked two really easy to misspell words, vagabond and traveler.